Fandom authenticity and identity. Or: which Conan t-shirt could I get? People of Earth. I have a minor cultural dilemma, which on the face of it is fairly straightforward. 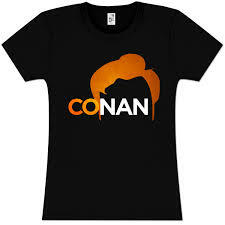 Which Conan O’Brien t-shirt should I buy? But this problem is applicable to any fan in any fandom. How do we identify with our fandom group? Let’s look a little further at the case in question. A year ago, this blog covered the Late Night Wars, and in particular what Wikipedia refers to as the ‘2010 Tonight Show conflict’. I noted that Conan’s current show was about to start airing in the UK. I started watching Conan and also the current iteration of the Tonight Show, starring Jimmy Fallon, Jon Stewart’s Daily Show, and John Oliver’s Last Week Tonight. I’ve also played about on YouTube to sample the O’Brien back catalogue and also some of the shows we don’t get over here such as Kimmel and Letterman. I even attempted (and failed) to sit through a Jay Leno monologue. I consider myself a fully paid-up member of Team Coco. And I want to buy a t-shirt. 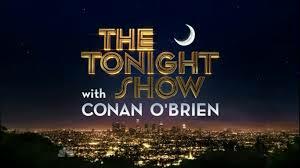 There are three contenders for import to the UK and they represent the three main shows with which O’Brien has been associated: Late Night, The Tonight Show and Conan. There’s a fourth option: a shirt for O’Brien’s 2010 live tour. Now in choosing an option I am pitching my tent in a clear camp. It’s no different than making a public choice about the best Doctor, or Sherlock, or Bond, or your preferred Rolling Stones line-up. The humble t-shirt is as any teenager knows a cheap way to demonstrate your personal brand. Or think of the somewhat older Markus Haglund from Oskyldigt dömd with his Ramones and Barack Obama tops. Other middle-aged men – it’s almost always men isn’t it? – wear classic football strips because of the elegance of the strip alone or of the side that wore it. Back to Coco, here are the pros and cons. 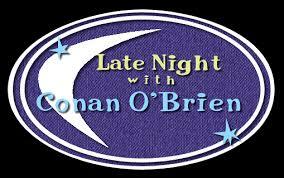 Late Night is the cool one, generally held as O’Brien’s best work. My problem is that I have never seen an edition from start to finish though there is plenty of stuff to find online. I feel it would be false to wear it. This is the equivalent of wearing a Patrick Troughton Doctor Who top: identification with the old school, or identifying with Sean Connery as Bond. Your Sherlock is Jeremy Brett and your Rolling Stones line-up includes Mick Taylor. The situation’s slightly more complicated with The Tonight Show. Many people think that O’Brien diluted his absurd comedy too heavily when trying to appeal to the fans of his predecessor (and successor) Jay Leno – though, again, there is plenty of good stuff online. This is more about identifying with the noble ‘lost’ cause (though O’Brien took the decision to walk away from The Tonight Show it was NBC that had taken away the show’s timeslot). The Bond equivalent is obviously Timothy Dalton – better reviewed but with worse ratings than his hackneyed predecessor, the Doctor Who equivalent might be Paul McGann, Sylvester McCoy or even Peter Cushing? In Sherlock terms we might be talking an obscure choice such as Douglas Wilmer. Perhaps your Stones line-up contains both Wyman and Wood. Finally, we have the current vehicle, Conan. This is the show with which I’m most familiar. But despite some stand-out episodes and segments, the show appears to have less cultural relevance than in the past. Bill Wyman has long since left the Rolling Stones. A top bearing the single word Conan seems to require explanation in a way that a t-shirt saying Late Night with Conan O’Brien or The Tonight Show with Conan O’Brien does not. I’m not that interested in wearing something from the live tour. 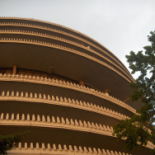 I didn’t go, know little about it and feel it would be inauthentic to show any kind of affinity with it. Different fandoms will have different dilemmas. You used to be able to get car bumper stickers declaring your allegiance to West Wing president Jed Bartlet. Would it have been too much of an in-joke to update these to back fictional successor Matt Santos. Should a Borgen fan back the Moderates of series 1-2 or the New Democrats of series 3? What is implied about choosing one rather than the other? As I make my decision, I’d be really interested in any views you may have. If you’ve ever displayed your fandom, why did you? How did you choose what you chose? UPDATE: Thank you to those of you who commented via Twitter. The most recent shirt got the thumbs up from the majority – ‘cos it looks really good – though one commentator pointed out that it was only polite to use Conan’s full name. This entry was posted on 31 August 2015 by Cafe thinking in Brands and branding, Reviews, TV and tagged Conan O'Brien, Doctor Who, fan culture, fandom, James Bond, Late Night TV.